Yesterday I completed photo selection and published my 2015 “Sights Seen” wall calendar but not without some difficulty. Moving on, I logged into my creator account at Zazzle.com. Their price for the same size photo calendar was twice that of Lulu! No thanks, too expensive already. I did a quick search on Google for photo calendars and, oh yeah! I was reminded of my account at Vistaprint.com. So I logged in at Vistaprint, found their calendar template, uploaded my images, and placed my order. I was unable to insert custom events (like special birthdates, meteor showers, etc. ), but couldn’t do that at Zazzle, either! I paid a bit more to upgrade to heavy, glossy stock hoping to get optimal repro quality for my pictures. We shall see! I’m not sure how I’ll offer the finished calendars for sale, if they’re good enough, but they’re mostly promotional and gifts anyway! 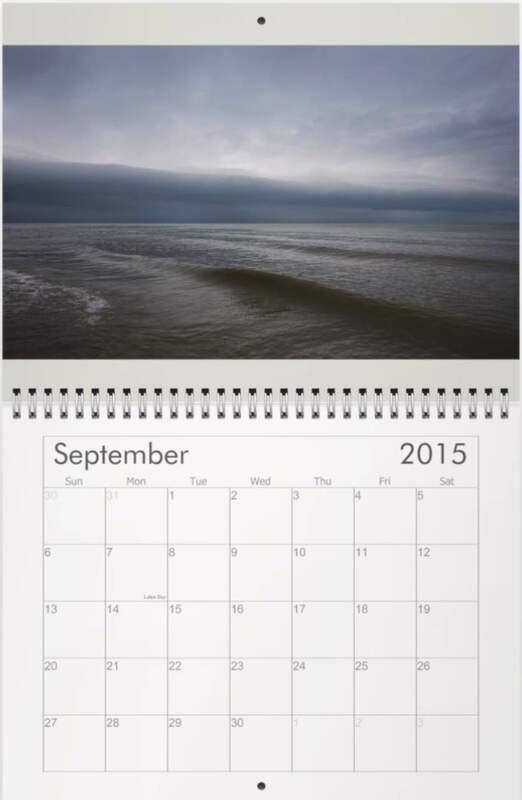 Ok, so how did your 2015 Calendar through Vistaprint come out? The calendars came out great! They are printed on heavy stock with a semi-glossy finish, colors are true, binding nice; all-in-all a very good job. I wished I could have added captions or special calendar dates, but the most important thing was the finished product’s quality.